This is a short SUG meeting update, because there was no SUG meeting on Tuesday, July 31st. Presumably Lindens are still recovering from the Linden Summer of Love Palooza Extravaganza Fête Conference Thingy (aka “SL summit”) held last week 🙂 . as always, please refer to the server deployment thread for the latest update. There was no Main (SLS) channel roll on Tuesday, July 31st. However, those regions on the channel that were on their 14-day cycle were restarted. BlueSteel should update to server maintenance package 18#18.07.20.518086, containing internal fixes. LeTigre and Magnum should be updated to a new server maintenance package, 18#18.07.20.518082, comprising Animesh and logging tweaks (note that at the time of writing, this update was not correctly chronologically listed for LeTigre). BugSplat RC viewer, version 5.1.7.518003, released July 20. This viewer is functionally identical to the current release viewer, but uses BugSplat for crash reporting, rather than the Lab’s own Breakpad based crash reporting tools. Animesh project viewer updated to version 6.0.0.518080 on July 25. Bakes on Mesh project viewer, version 5.1.6.516270, dated June 14. 360 snapshot viewer, version 5.1.6.515934. No meetings on Thursday August 2nd (week #31) and Thursday August 16th (week #33). Meetings on Thursday, August 9th (week #32), Thursday, August 23rd (week #34) and Thursday, August 30th (week #35). I’ve written about the region designs of Lokhe Angel Verlack (Jackson Verlack) since April 2015, when I first discovered one of his first iterations of Pandora Box of Dreams – the name he has largely used to denote the regions he has designed and run with his SL partner, Miza Cupcake Verlack (Mizaki). Over the years, these designs have grown in complexity and vision, he and Miza have also moved from the Pandora Box of Dreams approach to design role-play regions inspired by the World of Darkness universe (see here and here) before returning once more to the Pandora Box of Dreams “brand” with region designs that have mixed rental accommodation with stunning places for visit and spend time, such as the former Pandora Resort, and more recently Namaste and Kamigami, both of which I visited in 2017 (see here and here). Sadly, word came from Miza that Namaste and Kamigami will be closing on August 1st, 2018. In fact, Jackson has already started dismantling Kamigami. What’s more, it’s likely to be the last public region design we might be seeing from Jackson for a while. The reason for the closure isn’t the hoary old devil of tier per-se – whilst offering rentals for people, Jackson and Miza have largely covered the cost of the region out of their own pocket. Rather, its a lack of footfall through the region. Despite frequent events, the opportunity to enjoy two very well-designed and captivating locales, the region has seen a steady decline in traffic which, sadly, has reached a point where Jackson and Miza feel they’d rather focus on more personal projects and things that give them enjoyment. In this, they are far from alone: the truth is that such is the vastness of Second life and the constant popping-up of new regions and new places to visit, those places that offer a sense of longevity and comforting familiarity, unless located on the mainland, do become harder and harder to maintain when it comes to drawing a steady flow of traffic. Even with things like tier reduction (and depending on how that is passed on through land companies when it comes to rented regions), a point can so easily be reached where the effort in trying to maintain that flow and meeting the cost of keeping a region has to be put into perspective and a decision sometimes made. I admit, I feel a little guilt here; as a Second Life travel blogger, I’m all too keen to hop to the “new” places and write about them, or hop back to those that are given a make-over every few months. It becomes all too easy to forget about those that are there, month-on-month and never overly changing, but offering a consistent beauty for all to enjoy. Perhaps this is something all of us who write about Second Life need to keep in mind, and consider looking back at some of the regions we’ve visited in the previous year that might not have changed in the intervening time, and just dropping a “reminder” note about them for readers who may not have had the chance to visit, or might be unaware of their presence. In the meantime, the gradually disappearing Kamigami notwithstanding, there is still a little time before the region closes on August 1st, 2018, to visit Namaste and say farewell, and perhaps drop a note of thanks via IM or notecard to Lokhe and Miza for sharing their vision with us. For my part, I hope this is not the last we’ve seen of Lokhe’s designs; he has amazing vision in creating special places, and my thanks to him and Miza for allowing us to share in them. The majority of the following notes are taken from the TPV Developer meeting held on Friday, July 27th 2018. A video of the meeting is embedded below, my thanks as always to North for recording and providing it. This was a short meeting – 24 minutes on the video, which includes some lengthy silences. My apologies for the tardiness in posting this – I wrote it up on Saturday, then got distracted by RL before posting and forgot about it! Quinquina Maintenance RC viewer updated to version 5.1.7.517594, on July 12. The Bugsplat viewer has some issues logged against it, notably BUG-225112 -[Bugsplat-RC] Bugsplat viewer appears to misreport viewer crashes as freezes & other assorted annoyances. This is being looked into. For Animesh Bakes on Mesh and EEP, please refer to my week #30 CCUG report. In addition to the above notes, the Advanced Inventory System (AIS) is currently being updated, and this work is delaying both Bakes on Mesh and EEP, both of which make changes to the inventory system as well. A viewer with the updated estate management tools is in the process of being polished, and should be appearing “pretty soon”. Texture cache project viewer: this has been on hold recently while Graham Linden works on another project, however, he’ll be returning to it in the very near future. Noted in my CCUG summary, BUG-225157 “[RC BlueSteel 18.07.17.517953] Adjusting specular horizontal offset also adjusts specular vertical offset on BlueSteel regions only” should be getting both server-side a viewer updates to correct. These updates were with the Lab’s QA team at the time of TPVD meeting. There are reports of a media issue arising from the Firestorm 5.1.7.55786 release (reviewed here), but the root cause appears to be with the Lab’s code – a JIRA is to be raised. Group Notices: the new capability to use HTTP rather than UDP for receiving off-line notices when logging in had a couple of issues relating to group notices and friend requests. The fixes for this are both server-side and in the viewer, and should both see the light of day soon. Note that the HTTP capability is only for received messages held while off-line. IMs, group notices, etc., sent while you are actually logged-in to Second Life are still delivered via UDP. Lemon Beach is a place we’ve frequently visited in Second Life. From at least 2015 through until early 2017, it was held by Silvermoon Fairey under the name It’s A New Dawn (see here and here for more). More recently, it has been held by Iska (sablina), who initially gave it the name La Virevolte (The Twirl), occasioning us to visit on two occasions in the winter of 2017 and the spring of 2018. Iska, working with working with Chimkama, and Toxx Genest (ToXxicShadow). has now give Lemon Beach a further makeover, and a new name, Ponto Cabana, presenting a reason to make a further visit as July drew to a close. In its new guise, the region offers a curious mix of settings. On the one hand, there is a feeling that perhaps this is in part an old Spanish colonial plantation somewhere in the tropics. A grand house sits on the highest point on an island, steps descending down through what might have once been cultivated terraces to where the old road runs past the foot of the hill before snaking its way up to the house. In doing so, the road turns sharply past the single remaining wall of an old chapel. This may have once been a part of the estate, but time has not been kind, the lone wall with its forlorn bell sitting above the sea. Some of the terraces below the house are still being cultivated, although these now appear to be more for personal use than for growing produce destined for market or export. The rest, sitting before the house and cut by both winding road and grassy footpath, are given over to an informal garden. Meanwhile, the house with its white, adobe-like finish cracked and broken in places and clearly roughly patched in others, has a sense of stately age about it, perhaps just a little at odds with the furnishings within and around it, which suggest the current occupants lean towards a more bohemian lifestyle than one focused on the cultivation of local plants and fruits. Across the water, on another rocky-sided island, there is a slightly different look and feel. The structures here are mostly more modern in style – if a lot more run-down than the adobe fronted house. A paved road, leading to and from nowhere, arcs past a large house – or about what’s left of it, given its broken form is now subject to nature’s claim. Across the short sweep of road sits an old swimming pool, a pelican perched on the rusting frame of a diving board perhaps wondering just what happened to the water. Up on a headland, beyond the ruin of an old fort, sit a raised wooden hut with evidence of some occupancy scattered about it, but on the whole the feeling here is of a place now deserted; or at least in the process of being deserted. A car piled high with luggage sitting incongruously on the road outside of the ruined house as if ready to forever depart, a stubborn donkey standing before it, determined to stare it down. The road itself ends just behind the donkey, a set of steps leading down to another pat of the setting that again has a feeling of age about its occupancy in the form of the ruins of a stone chapel. Of grander stature than the lone, bell-carrying wall near the old plantation house, this ruin speaks of a once proud centre of worship with something of a medieval bent in its design. The way to it has long since been flooded, but stepping-stones offer a way across the water to the foot of the steps leading up to its stone flagged floors even as a wooden bridge offers access to the lands around it. Flamingos wade through the water, while humming birds flitter busily around the flowers growing from it and – in another incongruous, but oddly acceptable touch – two little hippos stand knee-deep in the water. All-in-all, Ponto Cabana is a strange and eclectic mix. However, it is an eclectic mix that works, and works delightfully well. With places to sit and relax – notably around the old plantation house, surrounded by off-sim islands heightening the tropical feel for the setting, and even a couple of off-shore perches to enjoy, Ponto Cabana makes for an ideal and photogenic visit. Animesh project viewer updated to version 6.0.0.518080 on July 25th. Black Dragon 64-bit updated to version 3.2.2 on July 23rd – release notes. Firestorm updated to version 5.1.7.55786 on July 25th – release notes – my release overview. Cool VL viewer updated to version 1.26.22.12 on July 28th – release notes. 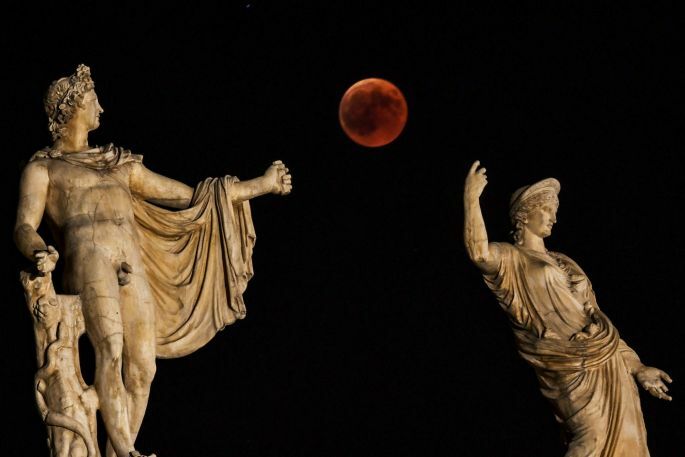 Friday, July 27th marked the longest lunar eclipse of the 21st century, which was visible from southern Africa, Australia, and Madagascar, Europe, South Asia and South America. Although many of us in the UK largely (and typically!) missed out, as the summer heat wave gave way to rain and clouds, a bit of a double blow, given we were just outside the reach of totality. For about half the world, the Moon was partly or fully in Earth’s shadow from 17:14 to 23:28 GMT; six hours and 14 minutes in all, with the period of totality – when the Moon lies entirely within the Earth’s shadow, and so is at its darkest – lasting from 19:30 to 21:13 GMT. 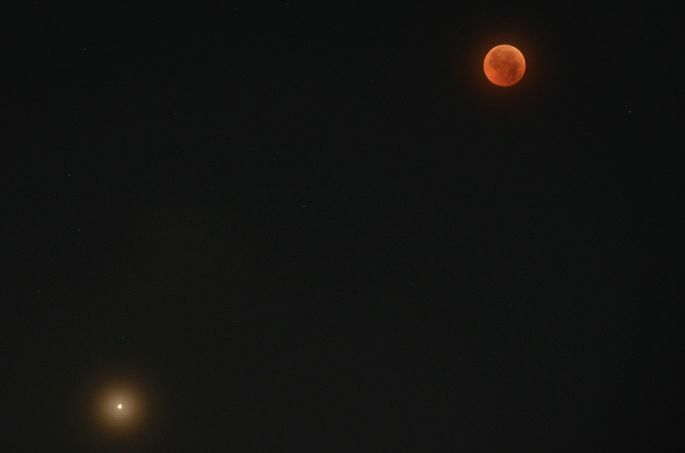 In a special treat, Mars, which is currently at opposition, sitting on the same side of the Sun as Earth, and thus at its closest to Earth (roughly 92 million km / 57 million mi), was visible just below the eclipsed Moon, appearing as a bright “star”. Those blessed with clear skies also had the treat of Saturn, Jupiter and Venus being visible in the sky as well. The reason the eclipse lasted so long was that the alignment between Sun, Earth and Moon meant that the Moon was passing right across the middle of the disc of shadow cast by the the Earth. This also meant this eclipse created a particularly strong blood Moon. 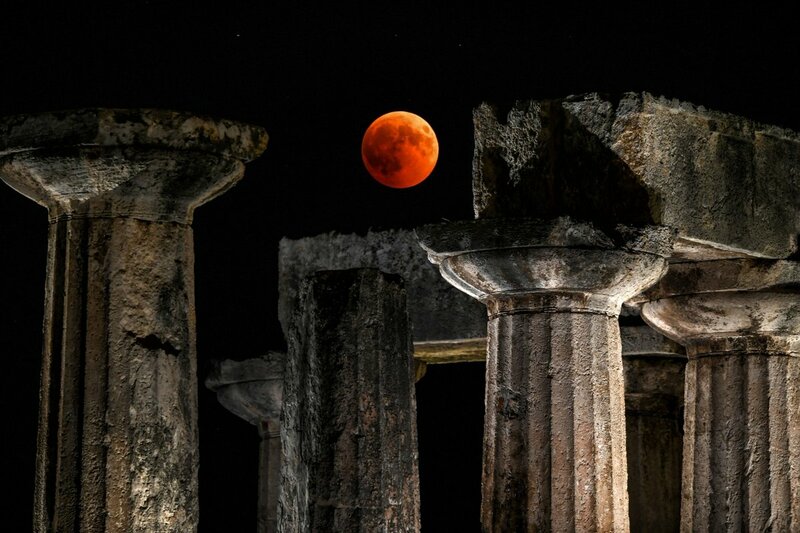 This is a phenomena caused by the lensing effect of the Earth’s atmosphere scatters blue light from the Sun outwards, whilst refracting red light inwards, so the Moon appears rusted as seen from Earth. 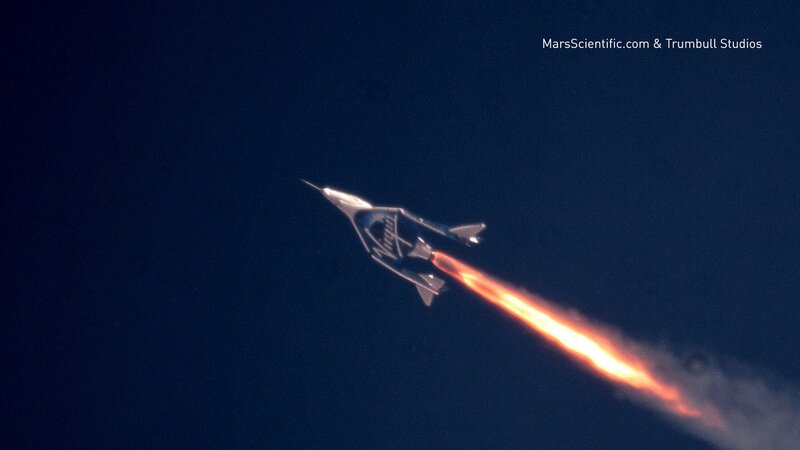 VSS Unity took to the skies on July 26th, 2018, and reached its highest altitude yet: 52,000 metres (170,800 ft), the highest any Virgin Galactic vehicle has thus far reached. VMS (Virgin Mother Ship) Eve, the WhiteKnightTwo carrier aircraft, took off from the Mojave Spaceport at 15:45 GMT and climbed to an altitude of 14,000 metres (46,500 ft), prior to releasing Unity, which dropped clear prior to its single rocket motor being ignited. The engine burned for some 42 seconds, powering the vehicle into a near vertical ascent and a speed that reached Mach 2.47. This was enough to propel Unity on a parabolic flight that topped-out at 52,000 m, inside the mesosphere, which spans heights from approximately 10 km (33,000 ft; 6.2 mi) to 100 km (62 mi; 330,000 ft), representing the heights to which Virgin Galactic flights will typically carry fare-paying passengers so they can enjoy around 5 minutes of weightlessness. It was a thrill from start to finish. Unity’s rocket motor performed magnificently again, and Sooch [co-pilot Mike Masucci] pulled off a smooth landing. This was a new altitude record for both of us in the cockpit, not to mention our mannequin in the back, and the views of Earth from the black sky were magnificent. The mesosphere is sometimes referred to the “ignorosphere”, as it sits above the range of instrument carrying balloons, but well below the height from which it can be studied from space, and so remains one of the least-studied parts of the atmosphere. 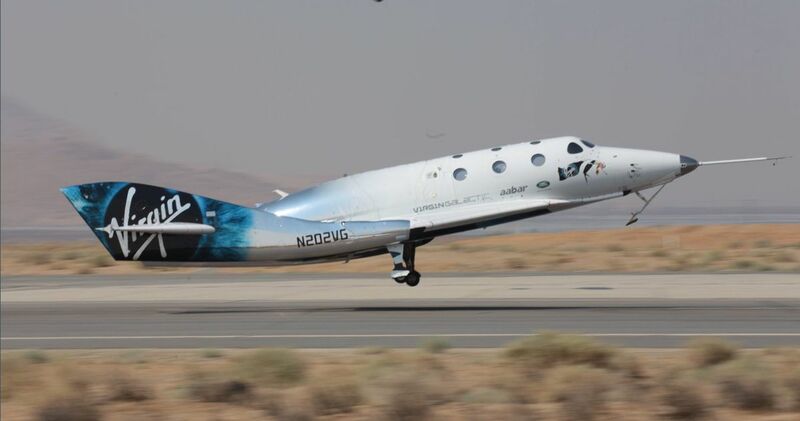 As well as carrying passengers aboard their vehicles, Virgin Galactic plan to change this by also flying experiments up to the mesosphere that might be used to probe it. As with previous flights, today’s test flight was designed in part to gather additional data about conditions in the cabin during flight, but it also marks a significant step closer to the company starting commercial tourist flights, which are currently earmarked to commence in 2019, or possibly the end of 2018. Before that, however, the company will make at least one flight with Unity’s motor fuelled for a full duration burn of 60 seconds. When that might be, and whether it might follow directly on from this flight (which represented an 11 second longer engine burn than previous flights) or be worked up to, has yet to be stated. When operational, VSS Unity will be joined by at least two more SpaceShipTwo vehicles, and – at some point in the next couple of years – an additional WhiteKnightTwo carrier vehicle, given the company are looking to operate flights out of Italy as well.